More than 20 brands, in stock. Unlike many other telecommunications suppliers, we have your equipment in stock and ready to ship. Our huge warehouse contains the latest phone systems as well as new and refurbished hard-to-find items. Need a part for your old phone system? Let us know what you need-- we either have it in stock or will find it for you. Expert advice and friendly customer service. Our on-site sales and support staff have over 20 years of experience with all types and brands of phone systems. They know about common issues and can often help you save money by suggesting alternatives to pricey purchases. Complete phone systems customized for your needs. Purchasing a new phone system can be confusing. Our staff will answer your questions, find out your business phone needs and give you a solution that fits your budget. We sell both new cutting-edge phone systems with features such as VoIP, color screens and digital voicemail as well as expertly refurbished phone systems. We'll work with you to configure your perfect system and arrange installation or service. We buy excess phone equipment. Do you have excess or unused phone equipment or wonder what to do with your old phone system? 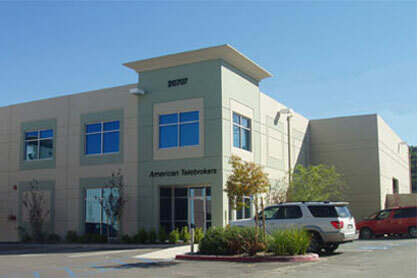 American Telebrokers buys and refurbishes old phone systems. In most cases you can lower the price of that new phone system by selling us your old one. Let us know what you would like to sell and request a quote. American Telebrokers is committed to providing the very best in customer value and satisfaction. In addition to the manufacturer warranty, we provide technical support and offer a 100% satisfaction guarantee. Our trained technicians personally inspect and, in many cases, refurbish the used equipment we sell. We can guarantee it because we refurbished it. From everyone at American Telebrokers, thank you for your support-- we look forward to serving your telecom needs.